« Day 48 in Beijing: Buying Vegetables…Or Not. 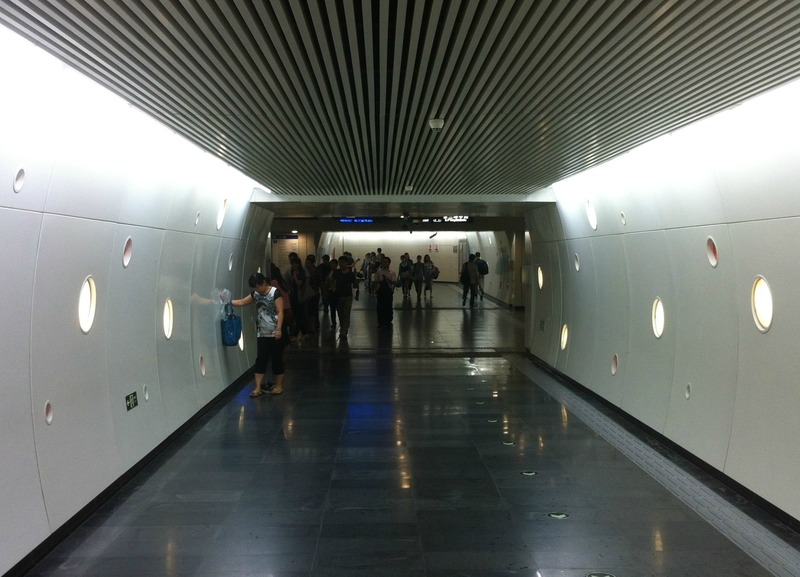 Day 49 in Beijing: Beam Me Up, Scotty! Notice the lady fixing her shoes. Maybe we still have shoe issues in the future? The stations in BART back home have some interesting designs. The ones in Beijing also do. It is near the CCTV tower that I’ve written about in Day 45 in Beijing: CCTV Tower. Like the CCTV Tower, it is also futuristic and looks like something straight out of Star Trek.